Peter Greenberg on Mexico: "It's time to be an intelligent, contrarian traveler"
Travel journalist Peter Greenberg has been vocal in his support of continued travel to Mexico in the wake of the H1N1 virus scare, and on May 23, he took his crusade to a whole new level—he broadcast his radio show from the abandoned beaches of Cancún. “I’m happy to report that I am not frothing at the mouth, I’m not glowing in the dark, and I’m not sleeping with a pig,” Greenberg wrote on his blog at petergreenberg.com. Convinced that travel to and from the country is safe as long as tourists act responsibly, use common sense, and practice basic personal hygiene, Greenberg spent three days in the luxurious spa resort El Dorado Royale in the Riviera Maya in Cancún, Mexico, and joked about the health panic on his weekly radio show, Peter Greenberg Worldwide. Greenberg, who also advocated—and did—travel to China during the SARS crisis, said hotel occupancy in the Mexican region is averaging under 20 percent now, and severely hurting the tourism industry. “It’s time to be an intelligent, contrarian traveler. That’s right. And there’s nothing wrong with that as long as you do your homework,” he said. His three-hour long show, available on podcast, includes interviews with over a dozen experts from the tourism and medicine industries, such as New York Times columnist Michelle Higgins, who says tourists can grab last-minute bargains if they act quickly, and Josef Woodman, the author of Patients Beyond Borders, who gives advice on how tourists can protect their immune systems on the road. To download a podcast of Greenberg’s tips and read more about his trip, click here. This review of the “sexiest laptop ever” got more user comments than any other article this year. Note: you have to be a tech geek to understand most of them. Contributing Editor McKenzie Funk hitchhiked the length of the Trans-Siberian highway to paint a picture of globalization. Photographer Aaron Huey’s images are gorgeous. An oldie but a goodie, Contributing Editor Kira Salak's story of her spirit quest in the Amazon is an amazing tale of transformation (and even has something for the hallucinogen crowd). 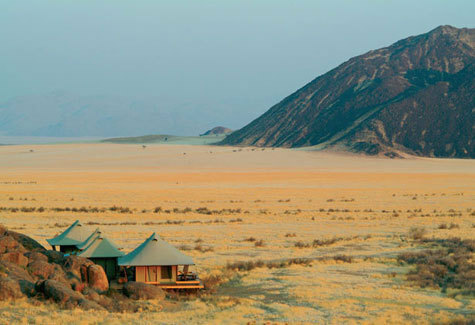 Global Travel Editor Costas Christ (who writes Beyond Green Travel) gave us a list of the most spectacular green base camps on the planet—and, surprisingly, there's something for almost every budget. We made a really handy world map to help you find them. We love your photos. Here are some great ones. This year, we found the most beautiful places and park adventures to deliver an authentic American summer escape. We also georeferenced each spot so you can find them. 4. Have You Seen This Croc? As far as we know, Gustave the man-eating croc of Burundi is still on the loose (or the giant, elderly Nile croc died a quite death in obscurity). This true story is quite similar to the fictional thriller, Primeval, which speaks to its ongoing audience. Photographer Bobby Model’s photos of the Rusizi River delta region are quite impressive. These are some of the best adventure photos to pass across our photo editors’ desks. They don’t disappoint. Boulder, Austin, Jackson, yep, all great adventure towns. Our picks this year, however, are part of a burgeoning group of great places to live—and they are smart investments in times like these. Plus, our special wallpaper feature will give you instant adventure town gratification. There’s nothing like it anywhere—a travel tool that helps you find excellent tour operators based on our experts' ratings, from quality of service to environmental practices. Search by whatever suits you—activity, destination, ratings categories. We’re actually unveiling the 2009 update this week. Stay tuned! Was there a story we published this year that you really enjoyed? Let us know. Paving Paradise For a Better Future, Donald Trump Style? During hard economic times, how do you convince rural communities living next to unspoiled natural areas to see a brighter future? If you are Donald Trump, who wants to build the world's "best" gold course on wild sand dunes along the coast of north Aberdeen, Scotland, or Plum Creek Timber Corporation in USA, who are seeking rezoning approval to carve up more than 400,000 acres of wilderness for resort development and vacation houses around Moosehead Lake in Maine, you prey on local economic fears in a down economy. Although unrelated, both mega-tourism development projects have more than golf courses in common. They need special permits to proceed and they have argued that denying them that approval translates into economic stagnation. Trump was recently in Scotland, where he decided to personally face off against those nagging gadfly's of progress - environmental groups. Conservation organizations, including Scottish Natural Heritage and the Scottish Wildlife Trust, among others, have raised serious concerns over Trump's plans to build two 18-hole golf courses, a 450 room hotel, conference centre, spa, golf academy, 950 holiday homes, 36 golf villas and accommodations for 400 staff on fragile sand dunes that are an officially designated Site of Special Scientific Interest (SSSI) and home to thousands of migrating birds. Trump has said that if he does not get approval for his plan the way he wants it, he will take his multi-million dollar investment someplace else (apparently where his generosity will be appreciated). He referred to Scottish opponents of his development plan as "imbeciles". In fairness, Trump described himself as "an environmentalist" during questioning in the three week public inquiry held last month on the project. Across the Atlantic in Maine, home to the largest remaining wilderness expanse east of the Mississippi - the North Woods - Plum Creek Timber Corporation is locked in a heated battle with local opponents and conservation organizations, including Maine Audubon Society and the Natural Resources Council of Maine, in an effort to gain rezoning approval to build more than 2000 resort rooms, condos, and vacation homes, in addition to a golf course, marina, restaurants, gift shops, staff housing, service buildings, etc. 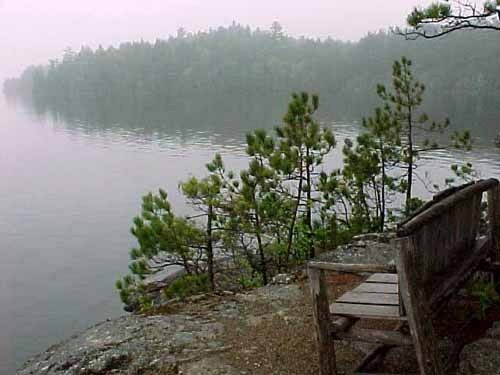 in the heart of back-country forests, lakes, and rivers. That it also happens to be in an area of abundant wildlife, including moose, bear and endangered species like the Canadian Lynx, doesn't seem to matter. Like Trump, Plum Creek has threatened to take their economic investment elsewhere (where it will be better appreciated, no doubt) if they cannot get the zoning approval they want. The approach represents hardball fear tactics during hard economic times. In both cases, project opponents have sought compromises, but bottom line issues, like not building on the wild dunes of Scotland, and not putting a 400 room resort in the Lily Bay wildlife corridor of Moosehead Lake, where the endangered Canadian Lynx roams, have been met with firm resistance by the corporate real estate giants. How much actual economic gain to local communities comes from mega-tourism projects like this in largely unspoiled natural areas? Historical experience points to a small pool of investors reaping large profits, with locals getting the crumbs from the economic table while ever-dwindling wilderness is destroyed in the process. At a time when global tourism trends show a growing interest among travelers to experience more nature, along with cultural authenticity and "sense of place", over-blown development projects like these are throwbacks to tourism's poorly planned past, and not the new sustainable tourism vision needed for the future.